Are you someone who finds that come mid afternoon it is all you can do to keep your eyes open? Well you most certainly are not alone as millions of others share your dilemma. But before you reach for that can of energy drink or cup of coffee to help you see out the day, it is possible to keep energy levels relatively stable throughout the day so you don’t end up simply staring off into space after lunch, and here are some ways to help you avoid getting that energy crash in the first place – there is bound to be one that works for you! There are a number of reasons why you might be experiencing the afternoon slump just as there are a number of techniques you can do to snap yourself out of it when your eyelids start to drop. But if you want a significant change in energy fluctuations you need to make permanent changes to whatever it is that is acting as a trigger for your energy lows. 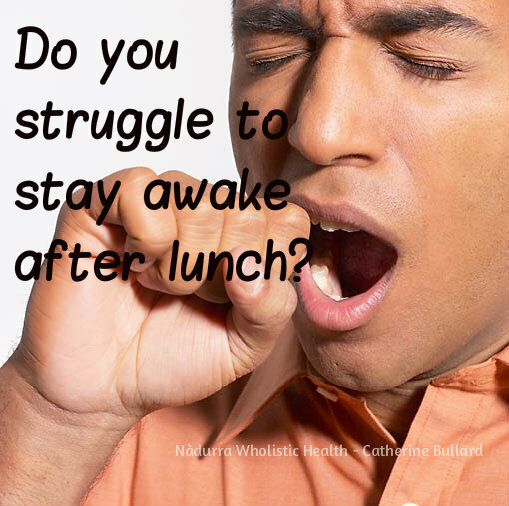 There are lots of ailments that can cause you to feel tired after lunch, such as allergies, insulin resistance, celiac disease or low blood sugar. But your tiredness may be due to something as simple as eating a big lunch. Digestion requires quite a lot of energy and as your stomach loads up with food extra blood rushes into your intestines from all over your body to help with the extra work. This leaves the rest of your body, including your brain somewhat deprived, with the result that you start to feel exhausted. Eat a big breakfast and opt for a smaller, light lunch. There are many lunch choices that can lie behind afternoon ‘sleepies’. Avoiding meat at lunch may be a wise choice when it comes to fighting fatigue as meat is one of the hardest foods to digest. It takes two hours to digest meat compared with only thirty minutes to digest fruit. Eating a meatless lunch will place a lot less stress on your digestive system and keep that blood flowing to the brain and lungs. Don’t forget to chew your lunch really well as saliva is loaded with enzymes that start off the digestion process. The more broken down by saliva that the food is when it reaches your stomach, the easier it will for your body to continue the process through the gut, and the less likely it will be for you to feel tired. An intolerance to gluten, the protein found in some grains, can cause after-lunch fatigue in anyone suffering from coeliac disease after they have eaten foods containing gluten at lunch. But many people who have a gluten intolerance without actually having coeliac disease also benefit from removing gluten from their diet. It may be worth having this checked out if you suspect gluten intolerance is behind your tiredness. Another sugar related cause of fatigue after eating may be insulin resistance. When excess sugar or carbohydrates are eaten the body produces more insulin, but over time your cells start to resist the insulin which leads to all sorts of health conditions, including fatigue. One cause of afternoon tiredness that is often overlooked is caffeine. Drinking two or three cups of coffee in the morning may get you going during the morning but you pay for it later. As well as the short-lived burst of energy that caffeine provides to you, it also contributes to dehydration, a leading cause of fatigue. Think of coffee as ‘credit-card’ food (eat now, pay later) Studies show that a single cup of coffee is sufficient to keep long-haul truck drivers more alert so replace that second coffee with a large glass of water. And more importantly, don’t use caffeine as an afternoon pick-up. If you find you absolutely must have some caffeine drink green tea instead. As well as the mild dose of caffeine it contains you will receive all the other wonderful benefits green tea has to offer. Tulsi tea is another great afternoon energizer especially if adrenal fatigue is playing a part. Don’t forget that caffeine is like any drug and your body will develop a caffeine tolerance, so that where you only needed one cup originally after time you might find you need six or even ten to get the energy burst you need. Most people working in an office will sit hunched up over their computer for most of the day and as fatigue hits in the afternoon they tend to slump down over their desk even further. 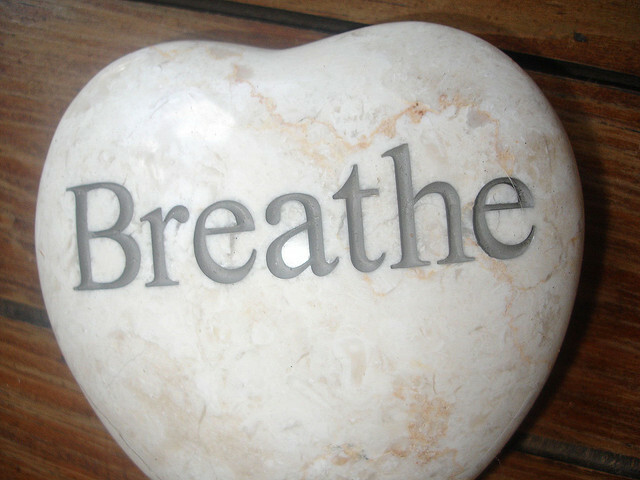 Sitting up straight – shoulders back, eyes forward and lower back arched slightly -and taking some good deep breaths right down into the bottom of the lungs can re-energise you very quickly. Stand up and add a few stretches for even more benefit. It’s worth remembering that being surrounded by EMF’s (often called electromagnetic radiation) can cause fatigue and these are always high around any electric equipment. EMF’s are especially high where there are wireless devices such as computers, wireless phones, printers, laptops, mobile phones, baby monitors, internet connections etc. so getting away from your desk or taking steps to lesson the effects will help keep you more alert. If you are living in places where the sun sets during the afternoon in winter it may also be due to your own body clock. As the day starts to get dark about mid-afternoon your body temperature drops and the hormone melatonin, which makes you feel sleepy, is released. Circadian rhythms contribute to how alert you feel so open the curtains to let in the sunlight or else simply turn on more lights if it is dark outside. Watch your sleep routine. Sleep recharges your body physically and mentally. Get yourself into a regular routine of going to bed and waking up at the same time and stick to it. You need seven to eight hours sleep a night. Studies have shown that ‘Binge Sleeping’ for one or two days a week does not counteract the sleep debt from the other nights of the week. If you don’t get enough sleep fatigue is likely to be the result. Go to bed and wake up at the same time every day, including weekends, for more energy. Listening to music has been shown to raise endorphin levels which makes you feel happier. Play your favourite music or sing out loud to get you motivated again. Dehydration causes fatigue so drink some water, or even eat some foods with a high water content like lettuce or watermelon, and combine it with a walk to the water cooler to get away from your desk. Get up and run up the stairs or around the block if you can. It starts the blood pumping and gives the brain a boost. Meditate – yes seriously, just a five minute meditation at your desk is enough to clear out your head and revive, refresh and recharge you. What are some of the ways that you manage the mid-afternoon ‘sleepies’?